After a self-imposed thrifting hiatus, I recently bargained with myself and agreed that I would buy any vintage tableware that co-ordinates with my orange and black pieces I've been collecting for a few years. My ultimate goal is to have enough pieces for full Halloween table of complete mix-and-match place settings. 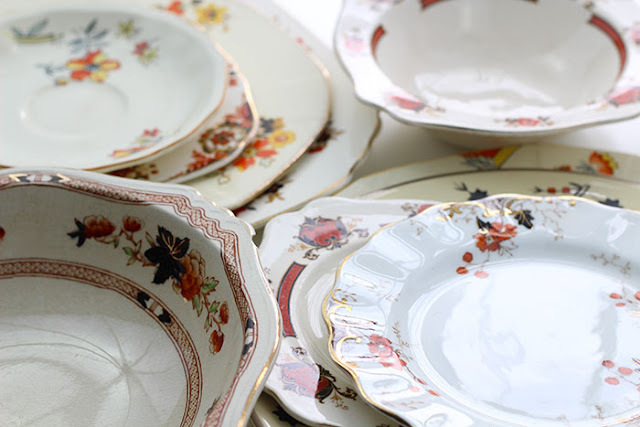 And the, I thrifted the very next day and found two more plates to go with my collection! 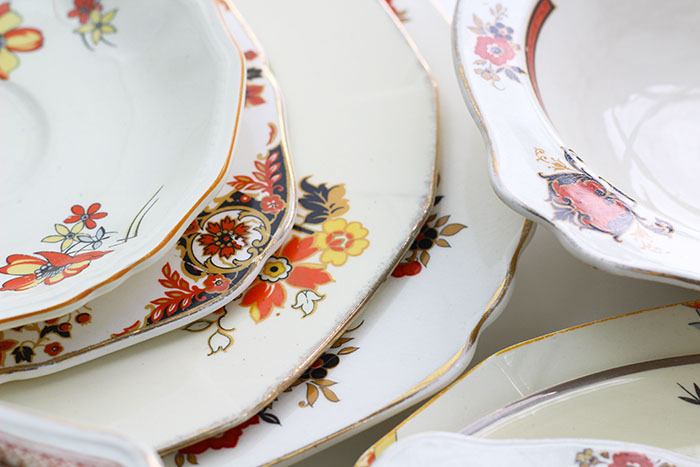 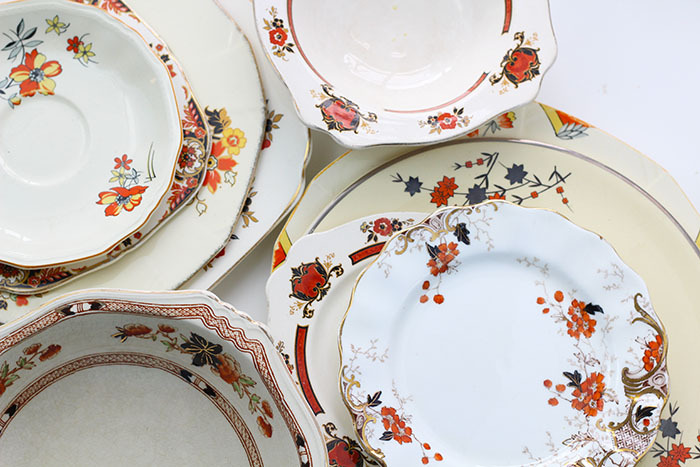 Most of these are the Marigold series by Alfred Meakin, my go-to fave china designer. 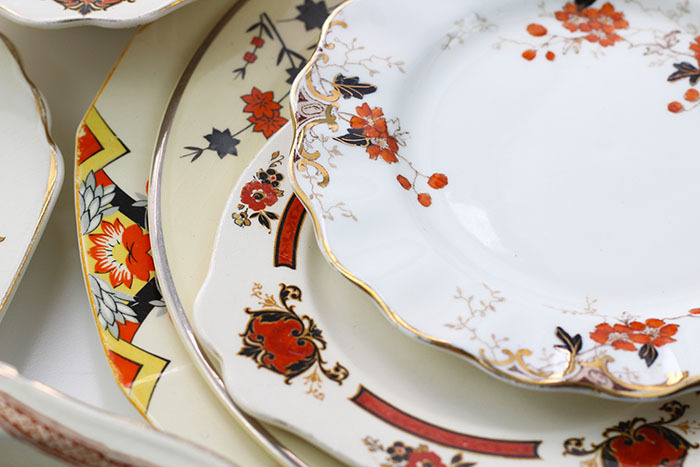 Do you collect any vintage settings for Halloween or other holidays?